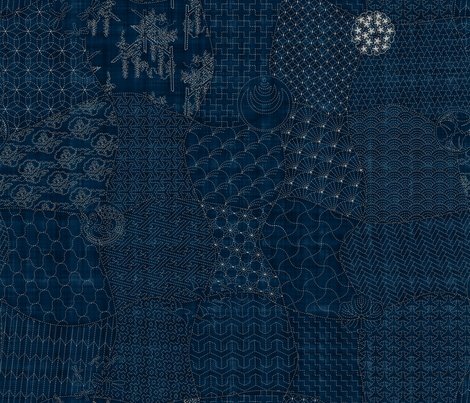 This design is the collection sampler of my Japanese Sashiko design collection, printed on a background that imitates yarn-dyed indigo fabric. 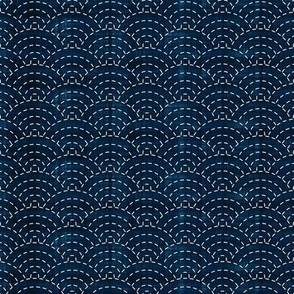 This design is basically a decorative sampler which has all designs from my entire collection of Sashiko designs on it. 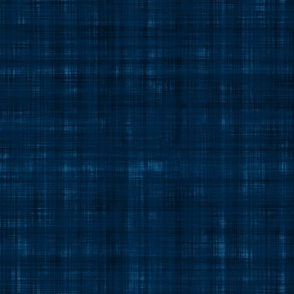 Have a look at the swatch size (by selecting it from the dropdown field) to see the details! 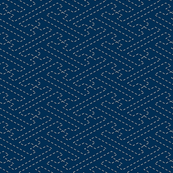 It's a low-cost alternative if you need to order more than four swatches of the different designs in said collection of Sashiko designs - one swatch would cost you $5, but ordering a yard of this design would cost you as few as $17.50 (on basic combed cotton); which is less than what you would pay for 4 swatches (which would be $20). 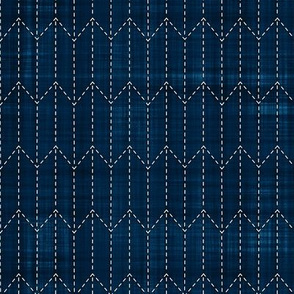 Also, this design doesn't just line up the single designs from the entire collection as 'squares', but they're arranged in a decorative way of 'wavy squares'; so this particular design would also be great if you're planning to use it 'as it is' for clothing, decoration or the like. The design size, by the way, is set to 42 x 36 inches - exactly one yard of fabric. On wallpaper it's 24 x 20.57 inches (so it fits on the width of the wallpaper) and on wall decals it's 30 x 25.71(so you get one repeat on a 30 x 30 inches decal). 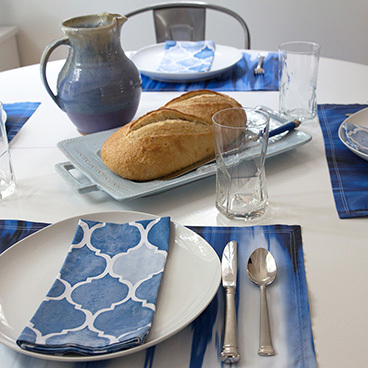 My collection also includes a 'plain' Indigo design (without the mock embroidery). 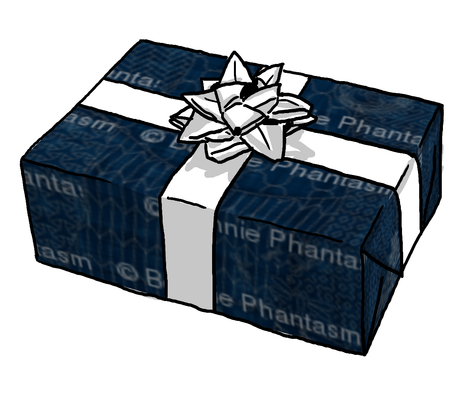 If you would like to order this or any of the other designs in my store at a different scale or in different colors, please don't hesitate to send me a message - that's all it takes to make that happen at no additional costs. 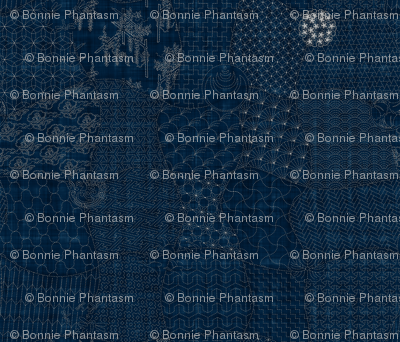 bonnie_phantasm says: Fabric view of this fabric. 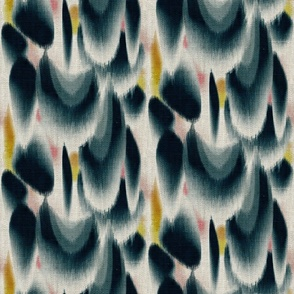 materialsgirl says: Oh wow....looks like a beautiful vintage indigo boro textile. 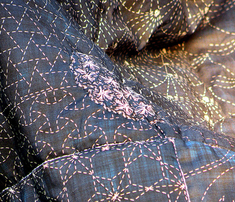 Do you collect real vintage Japanese textiles? It seem at the very least that you have studied them in detail. Lovely piece!